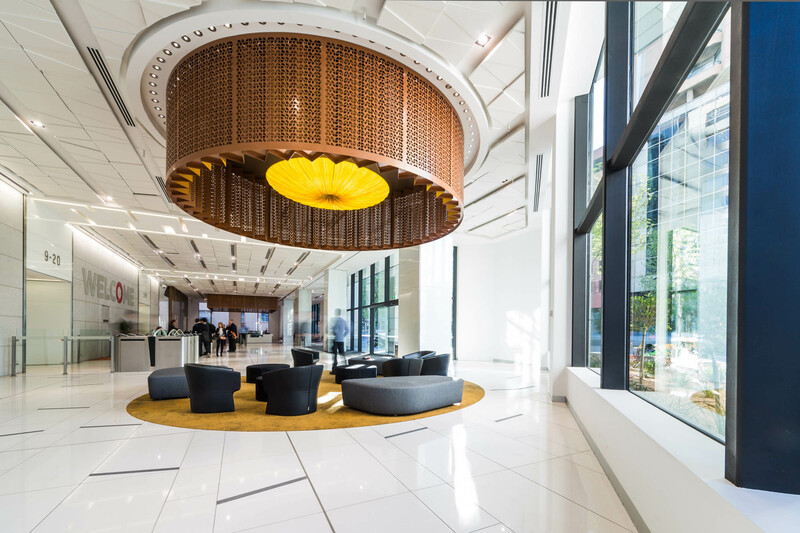 The 20 level office tower at 321 Exhibition Street in Melbourne has undergone significant repositioning, with a base building refurbishment that achieved 5.5 Star NABERS and designed to achieve Green Star Certification – Office Design v3. 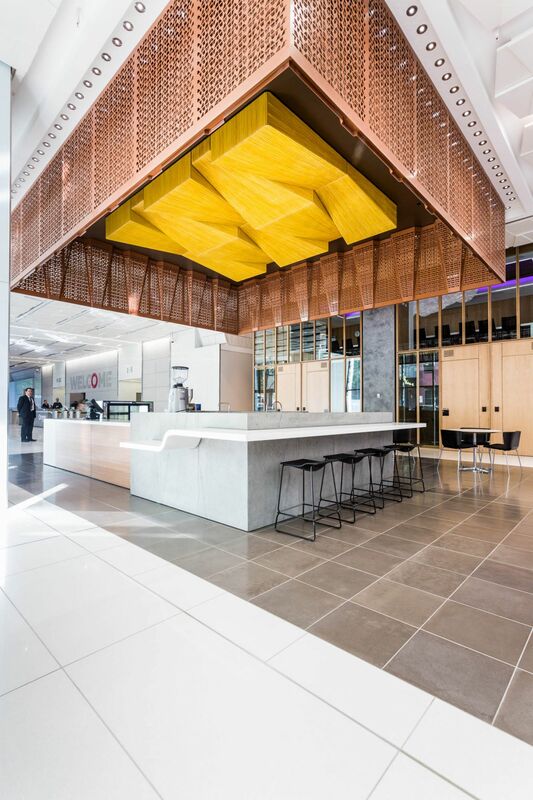 Overlooking Melbourne’s Carlton Gardens, the new contemporary space designed by Gray Puksand is now a more valuable, attractive and high performing commercial space than ever before. Schiavello Construction was engaged on behalf of the building owner, Cromwell Property Group, and project managers, Montlaur, for the refurbishment of the tower. The project commenced with the complete demolition back to the base building across 18 floors in order to prepare the space, recently vacated by Australia Post, for a new tenant. 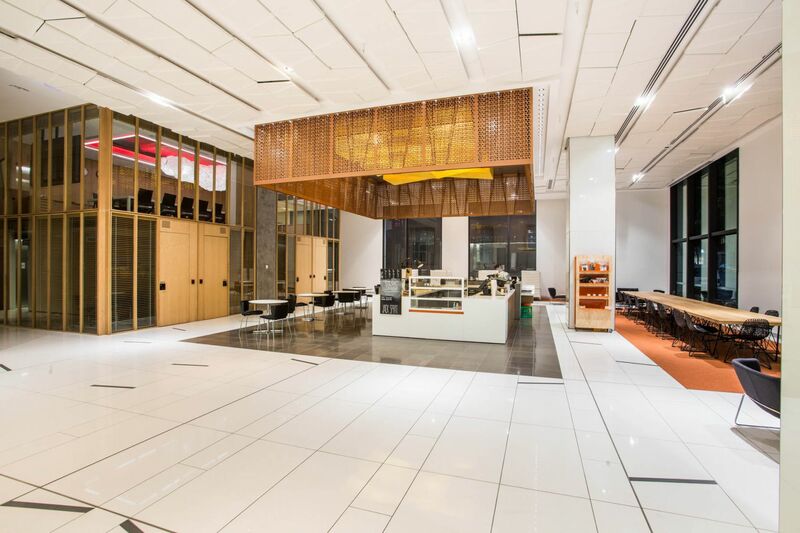 The upgrade saw the creation of a high quality, modern foyer with stone floor tiling and feature aluminium ceiling panels, a new cafe, food court, all new services, and upgrades of all amenities with water efficient fixtures, bicycle spaces, shower and locker facilities. Further energy efficiencies are achieved through tri-generation, the construction of a new recycling area, and the replacement of the glass facade of the building running from the ground floor to the top of Level 1, in order to maximise daylight harvesting objectives. 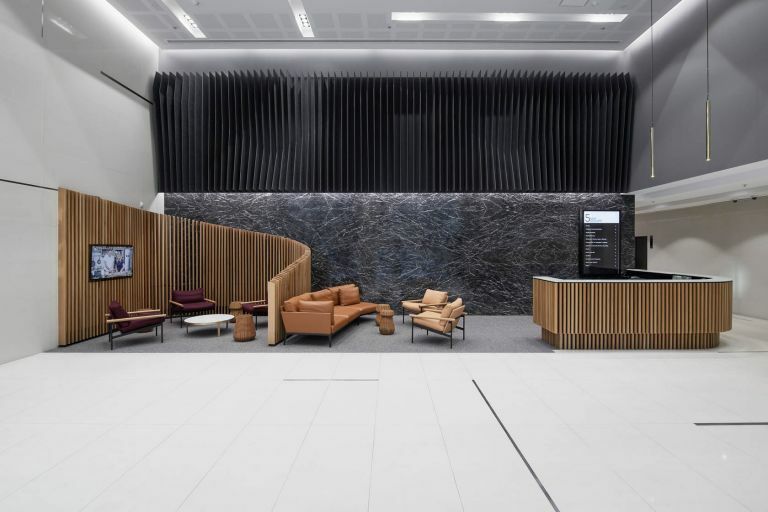 Completed as Design & Construct, the base building and construction of the foyer allowed Schiavello to present an impressive entry space, while building two street frontages. 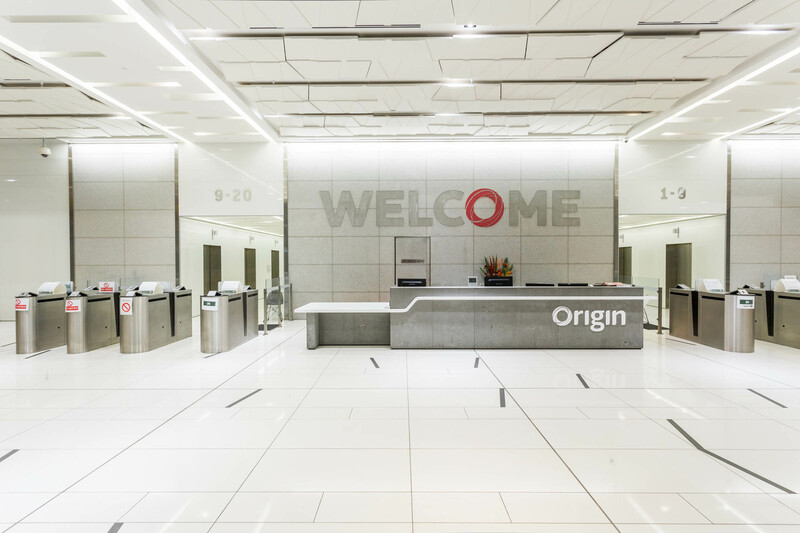 3 and 5 Rider Boulevard are now home to a combined 3,000sqm of cutting-edge end-of-trip (EOT) facilities and a spectacular lobby upgrade. Proven track record in building upgrades.